"Hi, I bought iPhone X and whenever I call someone, people cant hear me on my iphone x until I yell. Do you have any suggestions? I don't like to run to Apple Store so early. It is really annoying. Please tell me why people can't hear me on iPhone X?" This could be undoubtedly disappointing when you cannot be heard clearly on your calls and fail to communicate properly with your friend. 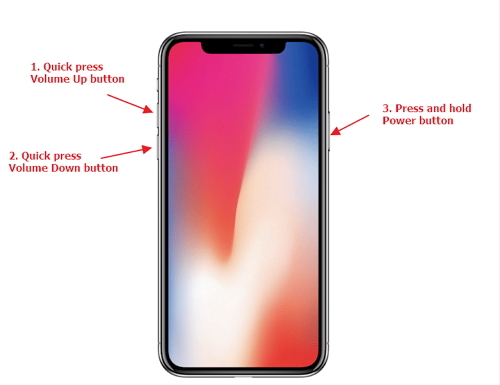 If you are also experiencing this issue with your iPhone X, here is the list of some tips that you can try to resolve the glitch. These tips also apply to the other iOS devices like iPhone X, iPhone 8, iPhone 7, iPhone 6, iPhone 5, iPad, iPod touch and so on. 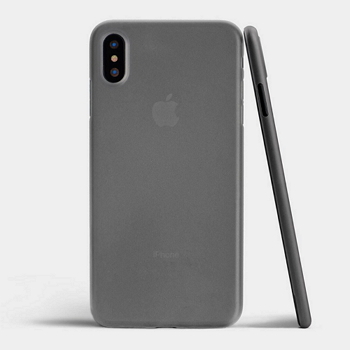 Whenever the question "why callers can't hear me on iPhone X" or 'iphone x people cant hear me' hovers over your mind, the first and foremost thing you should do is examining the iPhone case. Sometimes, the iPhone case can block the microphone or even iPhone receiver. Just remove the case and try to call someone to test it. Make sure to check this before anything else. 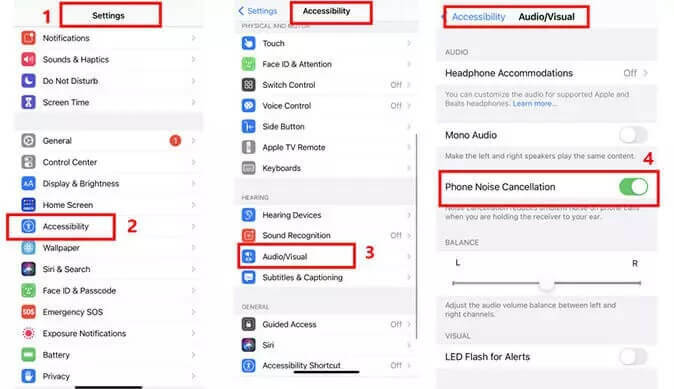 If people cannot hear you on your iPhone X, check if you have enabled Phone Noise Cancellation in settings. Go to Settings -> Accesibility -> Phone Noise Cancellation and turn this option Off if you find it is toggled on. Then fortunately people will hear you clearly. If the above tip didn't work, another thing you should check is if the device is in headphone mode or not. Firstly, remove (if any) debris or any kind of gunk from the audio jacks i.e. microphones or receiver. Secondly try plugging in and then plug out the headphone you use quickly. This is important as many times iPhone is not able to recognize that the headphones are being disconnected. So, plugging in and out several times will let the device detect the process. If you use an adapter, plug in and plug out the adapter. When your voice cannot be heard clearly on your calls, next thing you should try is receiver inspection. To check the receiver, follow the steps below. Go to the Voice Memos app and open it. Record an audio for a short duration. After recording, tap on the speaker icon to play the recorded clip on speaker. Now, tap on play button and listen to the clip through the receiver of the device. If the sound is perfectly normal without any crackle kind of noise, the receiver is perfectly fine then. You should move to the other fix since there must be some issue with the carrier network or something else. If the receiver is good and you still cannot be heard clearly on your calls, check connections and turn off Bluetooth. 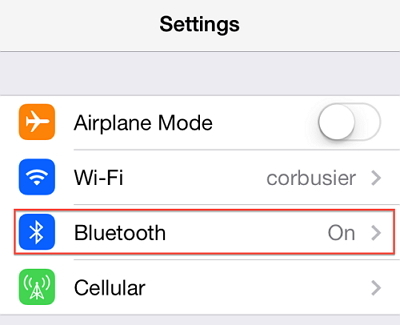 Just open "Settings" > "Bluetooth" > toggle off the switch next to "Bluetooth" and disable it. If you still don't why people can't hear me on iPhone X, hard resetting will surely help as it has worked in many cases. The steps for hard reset are a little different from earlier models. Here are the steps listed. Press and release the "Volume Up" button quickly. Do the same with "Volume Down" button. Now, hold the "Power" button until you see the Apple logo coming on the screen. You are done. If still the callers can't hear you on iPhone X, the next fix may help positively. 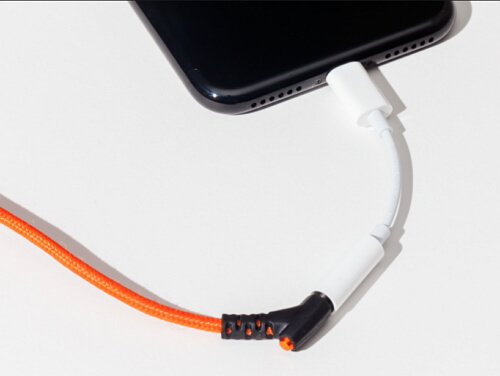 When the problem is still occurring in your iPhone X, maybe you need a third party tool to fix it. 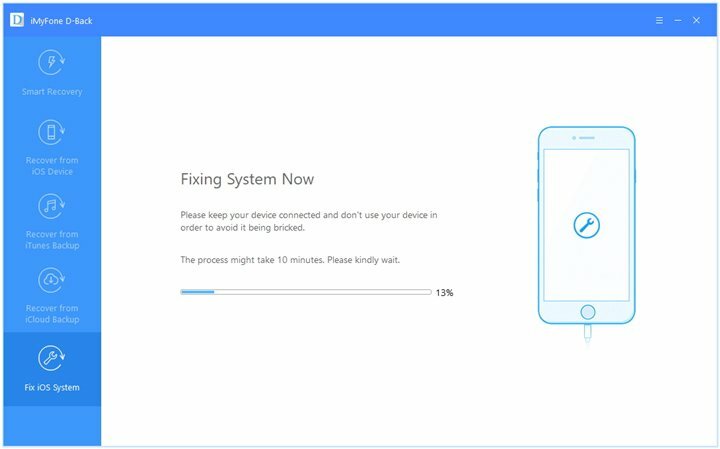 The best you can try is iMyFone D-Back which is a very powerful data recovery tool and is designed to fix various iOS issues with the help of a special feature called "Fix iOS System". 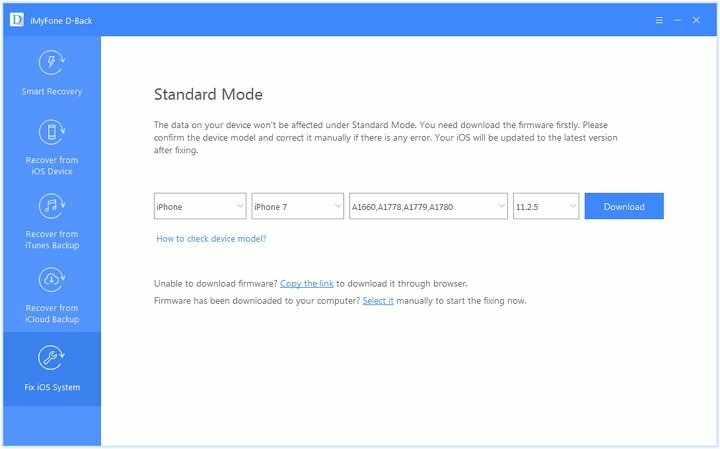 The program's feature "Fix iOS System" contains three different modes which are "Standard Mode", "Exit Recovery Mode" and "Advanced Mode". Most iOS issues like iPhone stuck in recovery mode, black screen, restarting loops, dead iPhone and other problems are fixed by "Standard Mode" without any data loss. It is now fully compatible with all iOS devices and iOS versions including iOS 12 and iOS 11.
iMyFone D-Back is also a professional data recovery tool that recommended by Macworld and Makeuseof. It can help to recover 20+ types of data such as messages, photos, notes, contacts, WhatsApp, WeChat, Viber, Kik and more data types from your iPhone/iPad/iPod touch. You can also recover these types of data from iCloud and iTunes backup. Step 1 – Download iMyFone D-Back in your PC and open it. Plug in your iPhone X with PC. Choose "Fix iOS System" then click "Standard Mode". Step 2 – After this, just click on "Start" and put your device into the DFU mode to get it detected by the program. If you are not able to set your device into DFU mode, you can also try to put your iPhone X into Recovery mode. Step 3 – Once done, the program will provide you the latest firmware. All you need it clicking on "Download" button. Step 4 – Last of all, click on "Start to Fix" button and your problem will be fixed within a few minutes. It's definite to get frustrated when you want to tell something important to your friend on call and your voice cannot be heard clearly on your call. iPhone X has been complained about this issue several times. We provided you some helpful tips and solutions. We hope those were helpful to you and you could fix the issue. If your iPhone X is still within the warranty, you can just go to Apple store to exchange a new one.